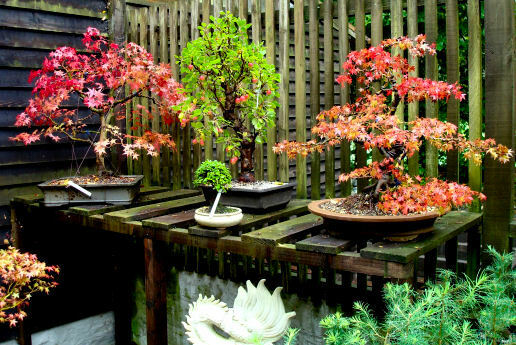 Our stock includes bonsai cultivated in the nursery and imports from Japan, Korea & China. It is not possible to catalogue the stock because of their diversity and individuality. 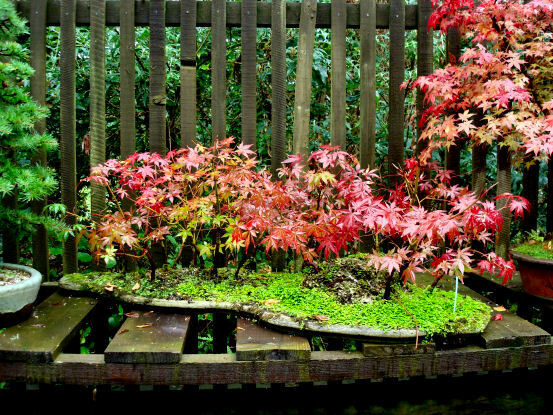 The following images give an indication of bonsai (Indoor & Outdoor) available in our nursery. 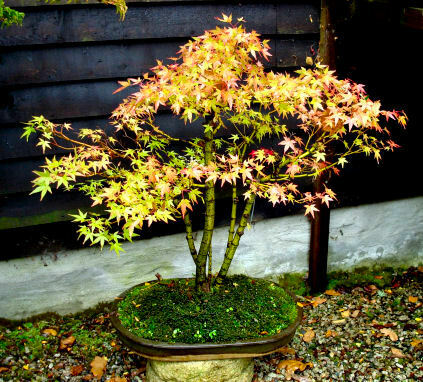 together with our aftercare service ensures that our customers avoid many of the mistakes commonly experienced by first time bonsai growers. 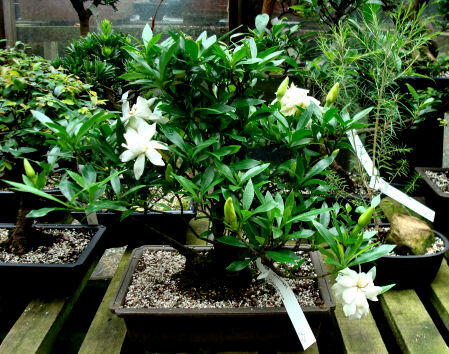 All trees, whether cultivated in pots or in the open ground, grow naturally outdoors in their country of origin. 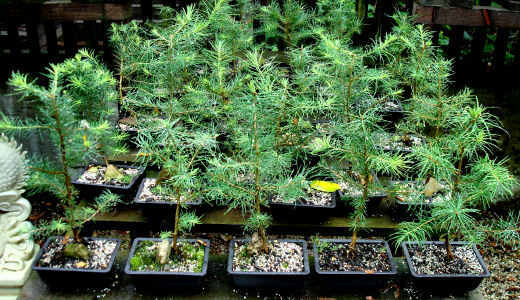 The trees we classify as indoor may be grown indoors as they require a minimum temperature of 50F / 10C, and would therefore not tolerate winter conditions in the UK. or all, of their foliage for brief periods, usually in response to the diminishing light and temperature levels that occur in autumn. Kept outdoors they drop all foliage in autumn, coming back into full, vigorous growth in spring. Adenium, Chinese Elm, Chinese Holly, Ficus Retusa, Olive, Podocarpus, Pomegranate, Sacred Bamboo, Serrissa Foetida - “ Tree of a 1000 Stars”, Serrissa Variegata, Ligustrum - Chinese Privet - Mandarin Tree,, Sageretia Theezans etc. 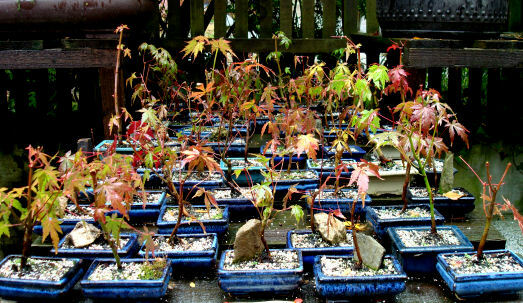 Outdoor Species as available: *Japanese Maples are a specialty of the nursery, and are available in a wide range of varieties and prices. Acer Palmatum (Japanese Maples) in variety, Azalea satzuki, Beech, Box, Cedar, Cotoneaster, Crab Apple, Cypress, Elm [English & Chinese], Flowering Apricot, Ginkgo, Hawthorn, Hornbeam, Juniper, Larch [English & Japanese], Oak, Pine [Black, Japanese, Mugo, Scots], Rowan, Yew. Indicate the species that you are interested in with a price guide, and we will advise as to the choice currently available.